A Mini Simmons is being born in France and word is out that I’ll get to ride it in a few weeks as part of the Mini Simmon’s Europe project that is emerging. I REALLY look forward to it. See shaper Philippe DELSANTI in action . . . These board will be outfitted with custom olive wood fins. 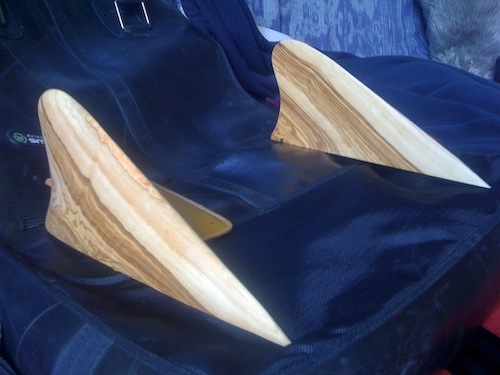 Fins made by hand by surfer Scott Bell.